Miglioro me stesso, miglioro il mondo. We are very happy to receive Danny for the 3rd time in Modena! I’ve been studying with this Amazing tezher for the last 6 years and I feel so blessed to see him again at my school! This is not the “traditional Ashtanga” workshop, but an opportunity to go deeper into the self through all the practices proposed by Danny: meditative, ritualistic and the therapeutic exploration of Pranayama, Asanas, Egyptian and Taoist poses, besides the Kung Fu and Tai Chi influences. Shamanic and Historical Roots of Yoga and the connection to other ancient cultures: Egyptian, Mayan, North and South American Native, Chinese, Polynesian. Healing Processes of Ashtanga Yoga, and other healing traditions. Relationship of Yoga to Sacred Indigenous Spiritual traditions worldwide. Responsibility, Personal Authority, The Sacred, Fulfilling Personal Destiny and Yoga. Food, Diet and the dangers of the Chemical, Pharmaceutical and Genetically Modified Food Industries. Medical Intuition: Understanding the processes that create disease and healing and the relationship to Chakras and glandular systems. Yogic and Shamanic perspectives on aging and Death. THE CLASSES ARE SUITABLE FOR ALL AGES AND LEVELS OF EXPERIENCE from beginning students to advanced practitioners and teachers of ALL forms of YOGA. These classes are considered to be Teacher Training sessions as well. 1st class Friday September 15th, 2015 – 6.30 pm to 9.30 pm Yoga and Shamanism: journey of the soul, connections of Yoga to sacred indigenous spiritual traditions, fulfilling personal destiny, your dream as your masterpiece, conscious evolution. Practice: Introduction to Danny’s approach: expanded exploration of standing sequence and finishing poses, including derivative routines, variations, Egyptian elements, modifications. 2nd class Saturday September 16th, 2015 – 2.30 pm to 6.30 pm Healing perspectives of Yoga, shamanism, and indigenous traditions worldwide, personal authority, personal responsibility, freedom, developing a lifetime sacred, healing practice. Practice: Ashtanga Yoga Pranayama, expanded standing sequence with derivative routines, modifications, variations, introduction to primary series and 2nd series for all levels of practitioners of all forms of Yoga. 3rd class Sunday September 17th, 2015 – 2.30 pm to 6.30 pm Chakras: balancing life force, Yoga, shamanism and aging, approaching transition with vitality and in clarity and peace. Practice: Ashtanga Yoga Pranayama, expanded standing sequence, 2nd and 3rd series and beyond, derivative routines. We kindly ask you to be punctual. It may be possible that classes finish a little longer, Danny just let himself go!!! This Immersion is suitable for all ages and all levels of practice, from beginning students to advanced practitioners, teacher trainees and teachers of ALL forms of YOGA. The Immersion classes, as taught, are considered to be a real Teacher Training sessions as well. RESERVATION PROCEDURE: Due to the limited number of spaces available for this workshops we only accept binding reservations with full pre-payment of the workshop fees. With full payment of the workshop fee your are firmly booked for the workshop. In case you cannot come, you can name another person who can come instead of you. Priority will be given to the participants of the full workshop. Payment: “Your Name & Surname WS Danny Paradise”. Afterwards you’ll receive a confirmation and all info about places to stay and facilities in Modena. For further information, please contact Isabella at +39.346 6843037 or isabella@ay-mo.com See also www.dannyparadise.com Thank you! Modena, Italy. By Chiara Mastria from Resto Del Carlino Modena. How and when have you started practicing Ashtanga yoga? DP – I began studying Ashtanga Yoga in Maui, Hawaii on a May 2nd, 1976 with the first Western adepts and teachers of the practices, David Williams and Nancy Gilgoff. I studied with them off and on for 5 years. I had studied Martial Arts as a teenager and was an athlete. An older Yoga friend in Hawaii told me and others that two young Yoga teachers had arrived and were going to give a demonstration of Ashtanga Yoga. At the time no one had ever heard of the practice. David and Nancy did a wild advanced demonstration…showing extreme strength, flexibility and balance. The next day in a beautiful shaded park 35 people started the practice with them. I broke into a sweat that day after 10 seconds in the first posture they taught. I realized that this was something completely new for me and extremely deep and powerful…I’ve continued the practices since then – for 39 years. I have also studied with the Indian teacher of the form…Sri K Patabbhi Jois in 1978 and 1980 in California and Hawaii. Why is it so appreciated in western countries? DP – I think Ashtanga Yoga is appreciated all over the world when it’s taught properly and carefully. People see dramatic results and positive changes in their lives. Their immune system is boosted, They create greater health, energy and vitality as well as strength, balance and flexibility. Many conditions can be healed. Stress, anxiety and all tension can be eliminated. They come deeply into the Present. They learn the evolutionary practices and suggestions of our Ancestors who were concerned with helping people lead the most healthful, tranquil, creative lives possible. Learning the disciplines of the exploration of Yoga helps to clarify the mind, increase perception, intuition and ways of seeing beyond ordinary reality…. All Yoga works in this way, fine tuning people’s senses and putting them more in sync with the flow and power of Nature. Ashtanga Yoga contains more concentrated aspects of the practices of Yoga. It also helps nurture independence and freedom to explore the practices on your own once you’ve studied for a period of time. The practices naturally slow down the mind and create the ability for deeper concentration, meditation and communication with the soul and the Great Soul. These are ancient Shamanic practices that deeply resonate with the soul. You have taught too many celebrities like Madonna and Sting. Are they good students? We know that you have taught also to Luciano Pavarotti. How did it happen? So, considering that Pavarotti did yoga with you, anyone can do it, right? DP – I met Luciano Pavarotti and Nicoletta through Luciano’s good friend, the amazing Classical Flutist Andrea Griminelli. Andrea is considered the world’s greatest classical flutist and he toured often with Luciano. Over the years I worked with Sting and his wife Trudie, I met Andrea Griminelli who was also their very good friend…Andrea studied Yoga with me at Sting and Trudie’s house on numerous occasions. 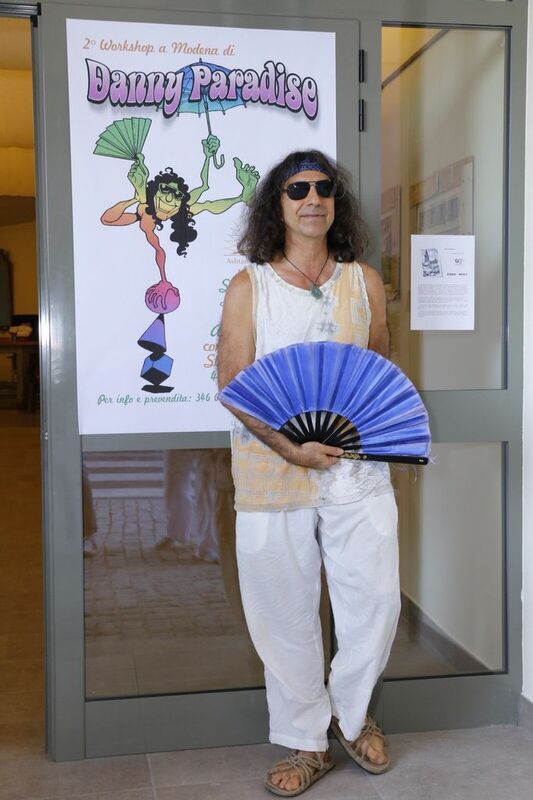 He liked the practices and one day he suggested I meet Luciano and Nicoletta and see if they wanted to learn Yoga. Soon after I came to their apartment in NY and introduced the practices to them. I taught them over numerous visits to NY and in Europe. The practices of Yoga and Ashtanga Yoga can be taught to anyone by an experienced and sensitive teacher. Everything can be modified to suit each physical and psychological condition of the students. Luciano obviously had an amazing understanding of breath and that is really the essence of the practices of classical Yoga. He had certain obvious limitations especially because of a bad hip at the time but he was able to learn basic movements and some of the principles of the practices. He was also enthusiastic and a very sweet man. So to answer your question; Anyone can learn apects of the practices of Yoga- at any age, physiological or emotional condition. What do you think about the contemporary way of life? DP – Whose contemporary way of life? I aim to spend as much time as possible in Nature. When I can be immersed in Nature for long periods of time my life force increases and that makes it easier for me to travel, explore new regions as well as teach. The general urban contemporary lifestyle is not something I spend a lot of time in. I encourage people to spend more time in Nature. At the same time there are tremendously talented people living in Urban zones. There are huge new Communities of people learning Yoga and changing their lifestyle in a positive way to meet the challenge of growing older with vitality, clarity, health and creativity. After all, if we are creating this dream we all have to begin to work together in compassion and clarity to clean up the mess that is happening all around us. The big cities are toxic in many ways with tremendous pollution, stress, anxiety and fear…All these elements shorten life. The solutions to these problems exist. If people have to continue living in giant urban places and if they come together and apply their knowledge and wisdom the cities can radically change for the positive. The solutions are clear and simple. For example, rooftop gardens are a revolution in Urban centers now. Clever teachers are starting gardens at schools so children can learn to grow their own food… Many cities around the world are cleaning up their rivers and waterways after realizing they have no choice! They build beautiful parks and gardens around the rivers and nature dramatically responds as a result. This is the beginning of a deep healing. In order for people to survive nature has to be cleansed from the damage mankind has been inflicting upon it. What’s the greatest teaching that you received from yoga? DP – Certainly how to create peace, tranquility and a healing life-force each day…How to manifest my dreams, how to take care of my health and well being, how to attempt to age gracefully with energy and clarity and learn how to communicate with Gaia – the living force of Nature. Yoga also nurtures independence, freedom, personal authority and personal responsibility. For me Yoga has been an endless evolving evolutionary tool. 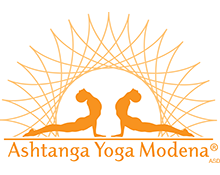 This is the second time that Ashtanga Yoga Modena organize your workshop here. In Italy we usually say that there is always a third time, after the second… So, when are you coming to visit us again? DP – I’ll come back as soon as I can! Italy is an amazing country with vibrant people, a phenomenal living history and beautiful nature… I move around the world traveling, teaching and playing music. I try to come back often to beautiful places with an expanding community of friends who are exploring the ancestral and evolutionary practices of Yoga. 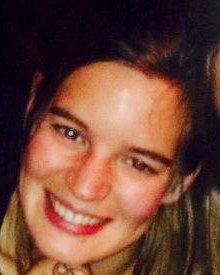 Isabella Furtado of Modena is an excellent, sweet, dedicated, enthusiastic practitioner and teacher of Ashtanga Yoga. I’m very thankful that she invited me to come back to Modena! Ashtanga Yoga Modena Associazione Sportiva Dilettantistica, via Zucconi 122, Modena CF e PI: 94147760360 © Tutti i diritti riservati.